Visual cues—like colored squares for foursquare—can help students with ADHD. If possible, do a pre-orientation to a game that includes a walkthrough, the objective, and skill practice. This may be a great task for another adult at the school if there isn’t time in a large group. Don’t be afraid to the adjust the time or number of attempts. If you do adjust one of these, offer the adaption to all students if possible. For example, all students get two tries to catch the ball. It’s ok if a student needs a break. Maybe the tag name is 10 minutes, but a certain student can play for 5 minutes before getting distracted or disruptive. This is fine. It’s ok to work up to playing longer. Talk to other adults about an alternative activity if needed. 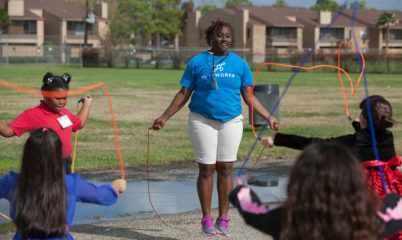 For example, a student could have a hula hoop break or take a lap around the playground. Add additional visual and tactile cues when possible. For example, if playing colors tag, can you hold up something blue when you call blue, or can you include different kinds of balls during Ball Toss Race. Different textures, shapes, and colors can keep kids engaged. Give lots of praise. Students with ADHD may be more used to getting in trouble than not getting in trouble, so highlight positive activity. 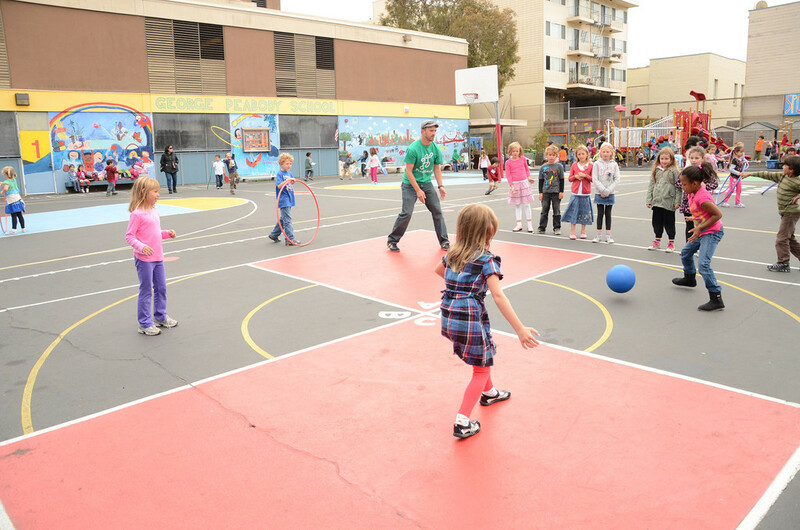 Playworks strives to embody our core values—Healthy Play, Healthy Community, Respect, and Inclusion—in every game we play. This year, the Laureus Sport for Good Foundation connected us with Laureus Ambassador Bob Lujano, a US Paralympic athlete, a rugby national champion, and an expert in the field of inclusion. 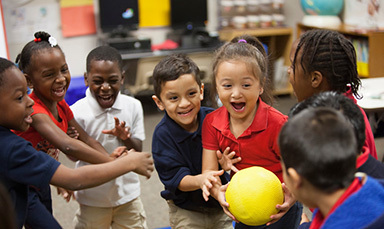 Playworks is proud to present tips from Bob Lujano for adapting games to make play as inclusive as possible for students with special needs. Laureus Sport for Good Foundation USA Ambassador Bob Lujano meeting with Playworks Junior Coaches in Minneapolis.